In the summer of 1896 William Jennings Bryan delivered his famous "Cross of Gold" speech to the delegates assembled at the Democratic National Convention in Chicago. In his remarks the Nebraskan accepted his party's nomination to run for the presidency. He also scored the nation's established economic interests, as represented by the onerous gold standard. Like many other Americans who worked with their hands or hailed from rural districts, Bryan believed that American political institutions had turned their back upon farmers and workers. His campaign sought to reorient these institutions toward a more egalitarian course. Bryan's sensational oration placed Chicago, Illinois at the top of the news that day. But the city and state had already become fixtures in the public life of the Gilded Age (1866-1896). In 1871 the Great Chicago Fire reminded Americans that large cities were becoming important parts of their society, and faced their own dangers. In 1877 the case of Munn v. Illinois advanced to the United States Supreme Court, and brought the concerns of westerners and southerners at the margins of national economic development to the forefront of political debate. Wage workers also protested the developments of the Gilded Age and brought Illinois into the national spotlight. 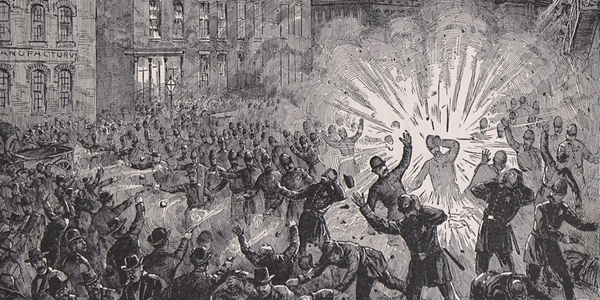 On May 4, 1886 several police officers were killed when a bomb exploded at a Chicago labor rally. The so-called Haymarket Affair saw eight avowed anarchists sentenced to death for the bombing. When Illinois Governor John Altgeld pardoned several of the condemned men, he effectively ended his own political career. In 1893 Ida B. Wells fled Tennessee for Chicago, where she continued her campaign to expose the practice of lynching in America. She joined a community of women activists that included Hull House founder Jane Addams and temperance crusader Frances Willard. 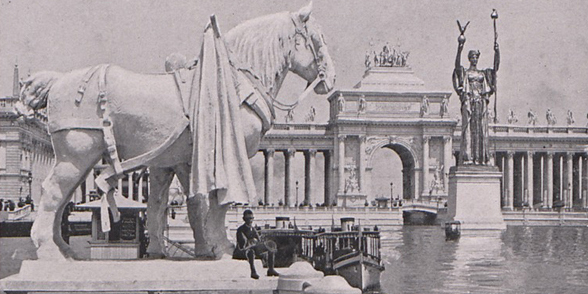 The emergence of a national culture devoted to the lofty ideals of civilization also brought Illinois to prominence with the World's Columbian Exposition of 1893, even as it pushed African-Americans, Native Americans and other groups to the margins of national life. In this period Dwight L. Moody made Chicago a hub of the new fundamentalist movement in American Protestantism, opening the Moody Bible Institute on the city's north side and building a national evangelical empire. The World Wide Web site provides a collection of primary source materials shedding light upon these and other important episodes in this era of Illinois history. Thus Illinois In the Gilded Age should prove useful to Illinoisans learning about their state's history. But these episodes illuminate larger themes in the history of the United States during the Gilded Age as well, and can support the study of the period with rich materials detailing events of national significance. The Illinois Board of Higher Education has provided financial support for this project in the form of a generous grant that enabled staff and student workers to select and assemble a diverse set of text and image materials. This support has also provided project users with original interpretive materials examining Illinois during the Gilded Age and its relation to major themes in American history. Scholars and history buffs may search primary source materials at their leisure, but the creators of Illinois in the Gilded Age also hope to serve a broader public audience including lifelong learners and students in schools and colleges. Many individuals lacking disciplinary training or detailed familiarity with the period's history may confront a large database of historical materials and wonder "what should I search for?" Illinois in the Gilded Age's interpretive materials can serve to introduce anyone with a basic knowledge of American history to the major events of this period. These resources can also introduce project users to scholars' major interpretive themes and debates, and help them to formulate their own historical questions and begin research in the online databases. Illinois in the Gilded Age is a product of Northern Illinois University Libraries' Digitization Unit. Like its predecessor, the Abraham Lincoln Historical Digitization Project's Lincoln/Net World Wide Web site (http://lincoln.lib.niu.edu/), this resource brings together primary source materials from a number of libraries, museums and archives. These institutions include the Newberry Library, the Chicago Historical Society and the Illinois State Library.